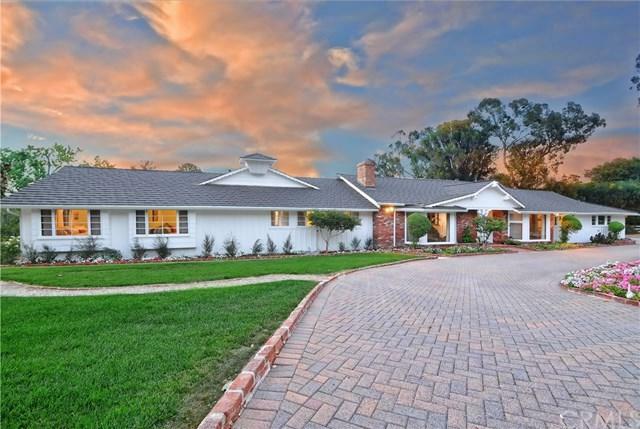 This luxurious, dream home welcomes family and friends to a hideaway in the exclusive, gated city of Rolling Hills. This 4,470 sq. ft home is nestled on a huge, fully usable 1.3 acre lot. 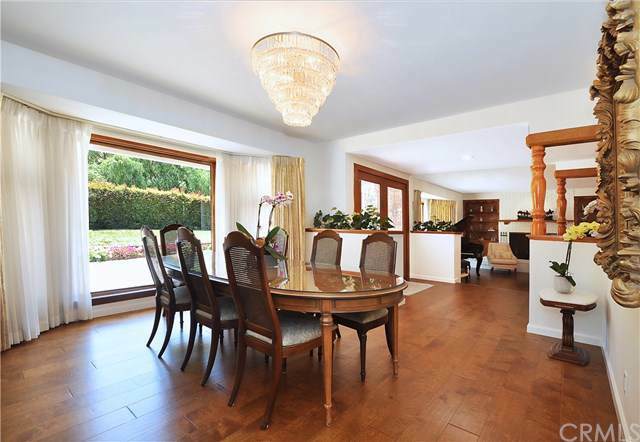 Enjoy this stunningly remodeled home, featuring 6 bedrooms, 5 bathrooms, a formal living room with fireplace, dining room, great room with 20-foot wood ceilings, wet bar and den. The heart of the home can be found in the gourmet kitchen which includes a spacious breakfast nook. This floorplan includes a guest bedroom, ba This luxurious, dream home welcomes family and friends to a hideaway in the exclusive, gated city of Rolling Hills. This 4,470 sq. ft home is nestled on a huge, fully usable 1.3 acre lot. Enjoy this stunningly remodeled home, featuring 6 bedrooms, 5 bathrooms, a formal living room with fireplace, dining room, great room with 20-foot wood ceilings, wet bar and den. The heart of the home can be found in the gourmet kitchen which includes a spacious breakfast nook. This floorplan includes a guest bedroom, bathroom and a bonus basement for storage/workshop. 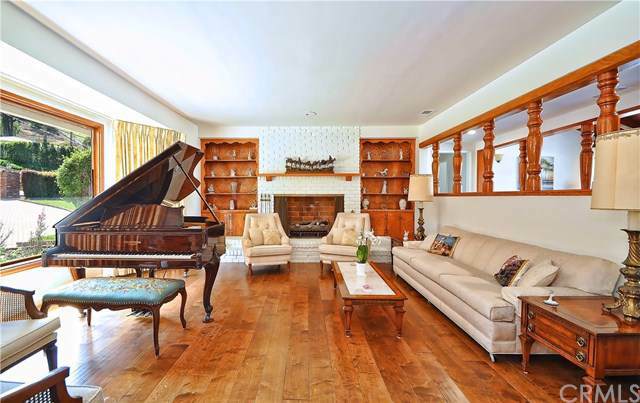 Throughout the home you will find beautiful wood floors and high wood ceilings with unique detailing. The rest of the bedrooms plus an office can be found on the west wing of the home. Enjoy the master retreat which includes a walk-in closet, bathroom with marble details, and private patio access. 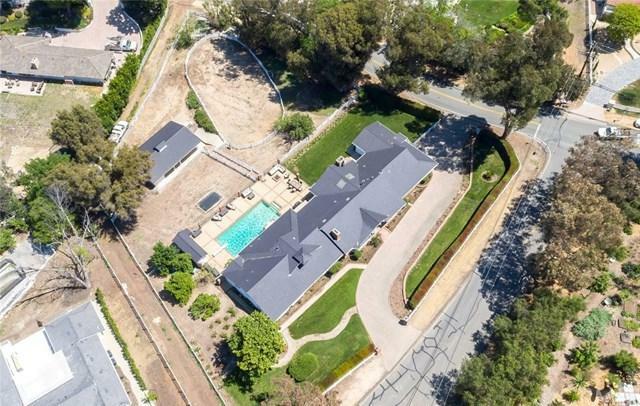 Entertain guests in the sprawling outdoor oasis overlooking the enormous backyard with a pool, patio with fire-pit, a huge lower paddock with a 3-stall barn, riding ring and orchard.